The two STEP™ Assessment Series are designed to work through the STEP Online Assessment and Data Management System. 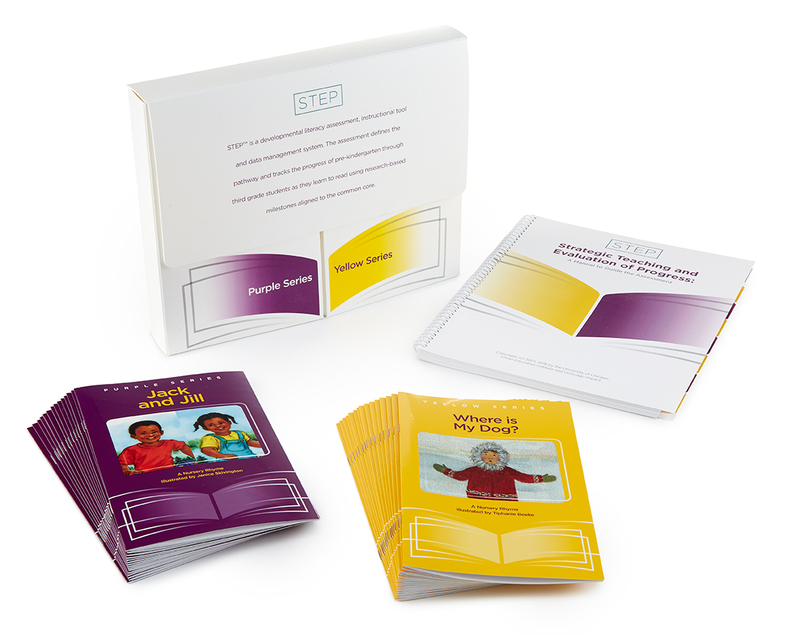 Teachers use the STEP™ Assessment Kit to assess students at multiple points across the year to determine current achievement and instructional needs as they progress across 19 distinct developmental levels in reading proficiency equivalent to Kindergarten through 5th grades. STEP offers two distinct assessment series: “Construct & Stabilize” and “Strengthen & Expand”. 1) An electronic, web-based Teacher’s Guide to Assessment Manual that outlines the developmental components assessed in the series, clarification and support on administration and scoring procedures, ‘what-if’ scenarios, as well as assessment resources. 2) A printed set of nonconsumable student assessment books corresponding to STEP developmental reading-levels. These are not instructional or trade books, but rather are for assessment purposes only. The Construct & Stabilize Series is designed to inform teachers about student progression against foundational literacy skills necessary to build a strong foundation for later literacy development. 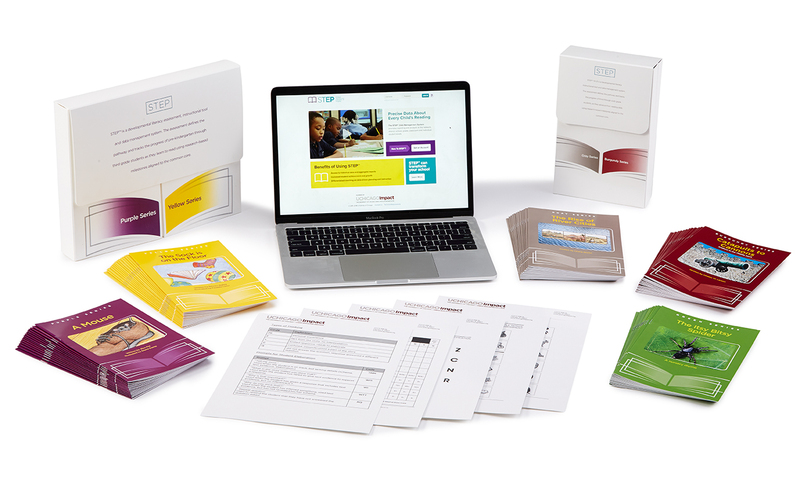 Typical components include: print concepts, letter/sound ID, reading accuracy, rate, and comprehension. This narrative, fiction-based series supports students performing at the equivalent of grades K through 3. 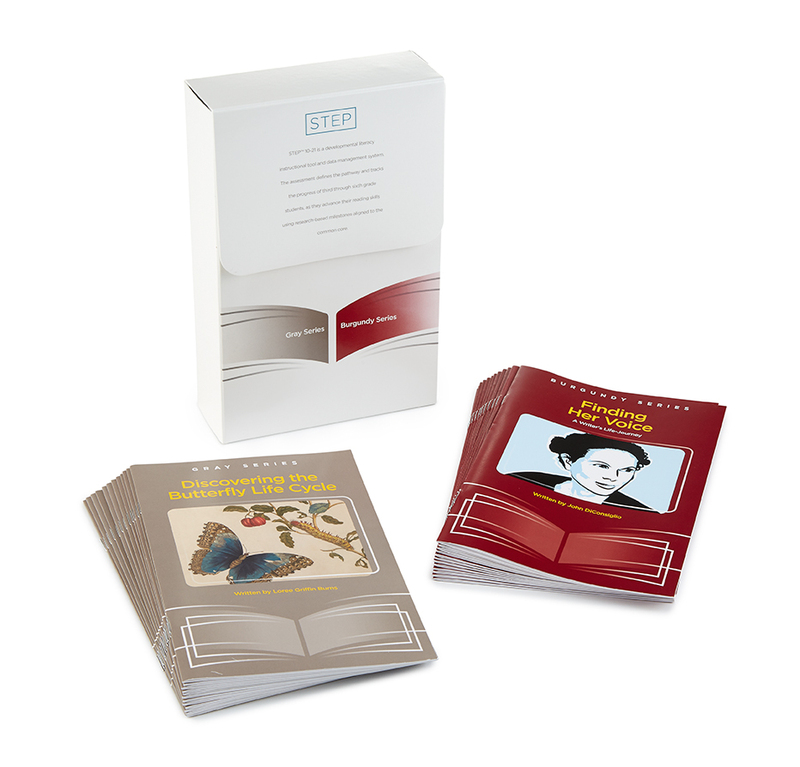 The Strengthen & Expand Series is designed to build upon established literacy skills deepen comprehension skills using nonfiction text and supports grades 3 through 6. The series offers students and teachers an engaging and authentic experience around deepening foundational literacy skills while obtaining rich, reliable student data. STEP Español is currently only available in grades K-3. STEP Español is currently offered only in a paper-based assessment format with electronic data management. Please note: You must have a signed agreement with the STEP in order to process any STEP kit orders. To request additional information, access to the training district, and/or if you have any questions, please contact us at STEP@uchicago.edu.